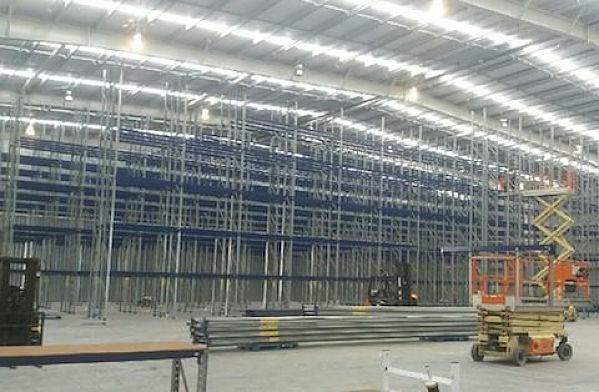 The project entailed de-installing Eden Office’s existing racking, and design through to consent of a new pallet racking solution with capacity for 5,000+ pallet spaces for the Auckland Airport precinct warehouse. The client was looking to work with a reliable team with a track record of delivering projects of a similar or larger scale. A presentation and proposal by our Director John Fenwick gave Eden Office the confidence they needed to go ahead. 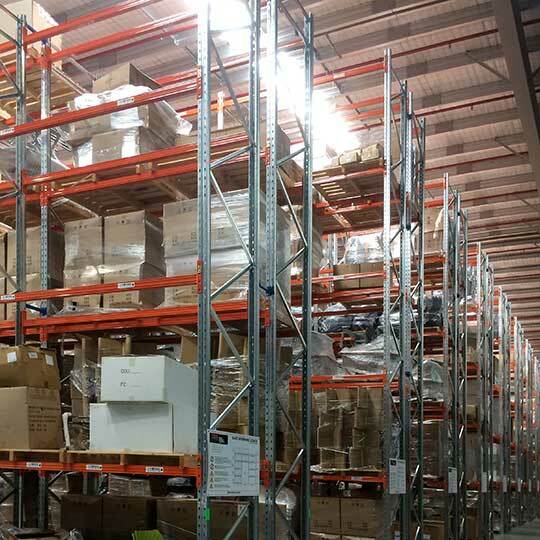 Eden Office needed a cost-effective plan that would fit within a set budget and maximise the storage capacity of this vertically spacious site. 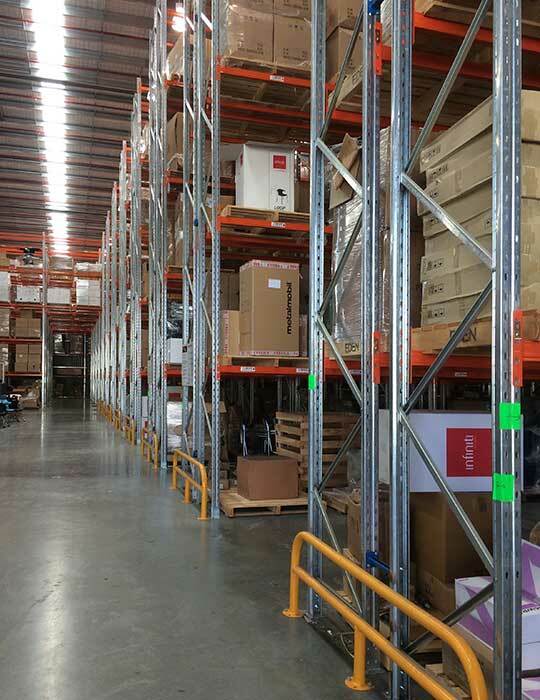 A relatively complex layout also required a variety of frames and beams to address different product requirements – including cantilever racking to house lengths of timber. 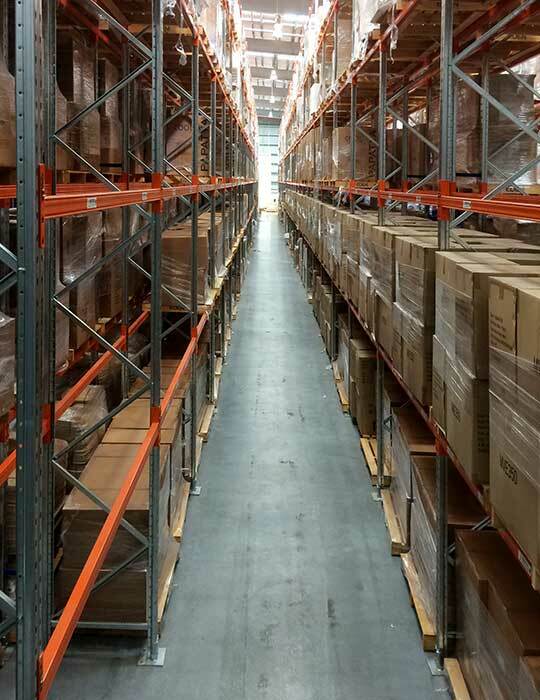 The existing pallet racking was safe and in good condition. 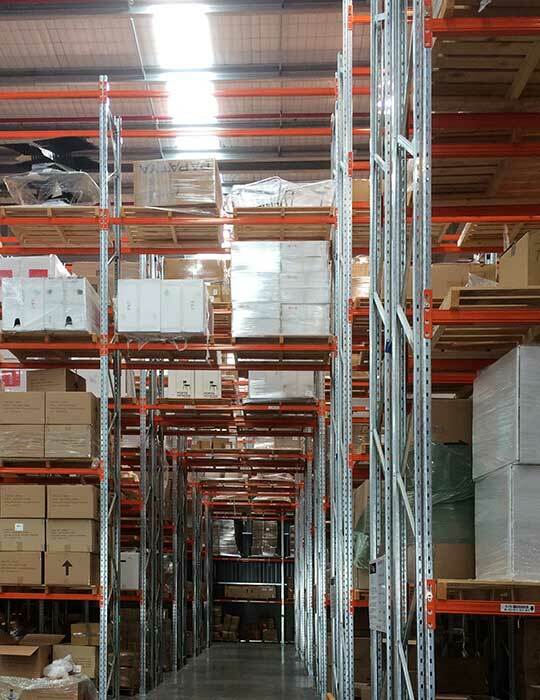 So after inspecting the components, our team de-installed the used racking and bought it back for our second hand stock. 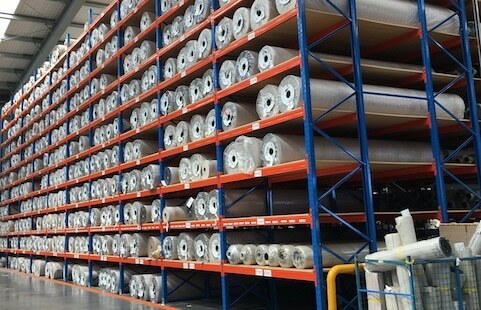 This gave Eden Office both a clear site prior to installing the new pallet racking, and money to put towards their new project. 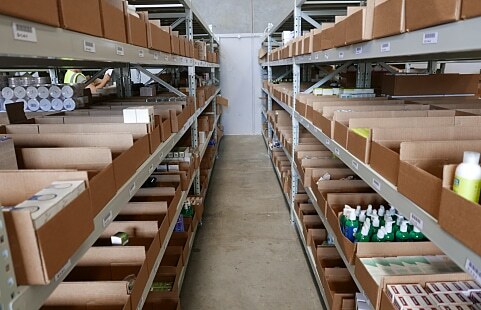 The team at Eden Office is thrilled with their space efficient, fit-for-purpose new warehouse storage.